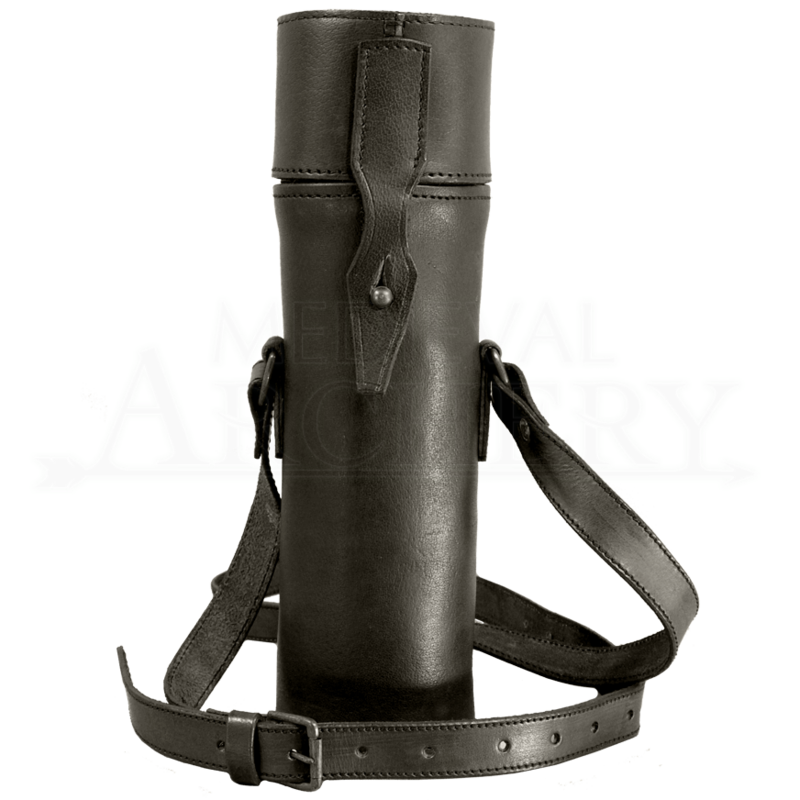 Our leather thermos holder comes complete with a 1 liter black thermos which features an Epic Armoury logo. The thermos is made from stainless steel and is just what you need on those hot (or cold) days at the fair or after a battle. Keep your favorite beverage handy with our take along thermos. To make it even more convenient, the thermos fits snuggly inside our top quality leather holder. 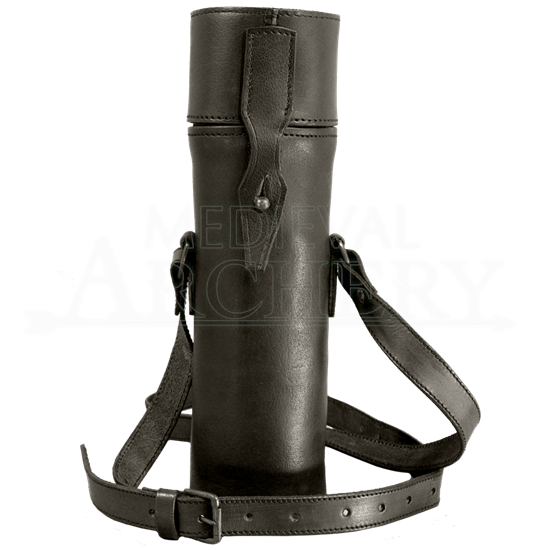 There is an adjustable shoulder strap for carrying.